Sticks and Stones May Break Your Bones, But Our ER Can Help! 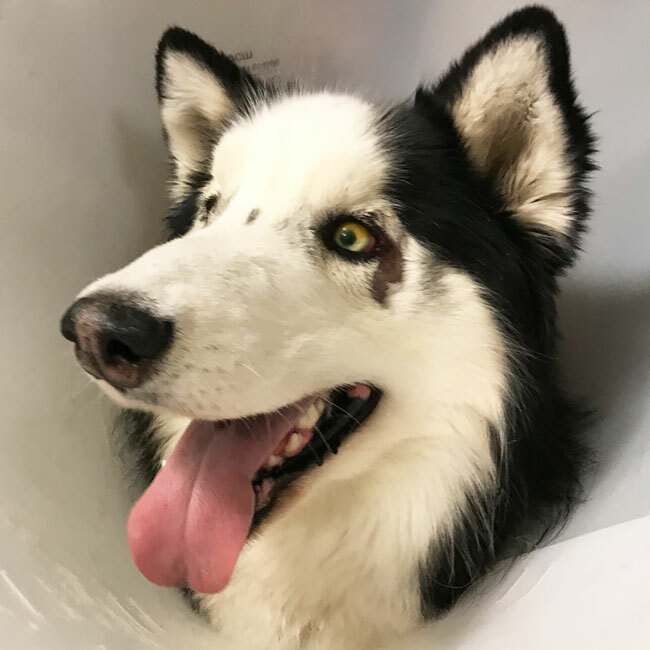 Astro is a six-year-old Husky who came in contact with the business end of a stick. 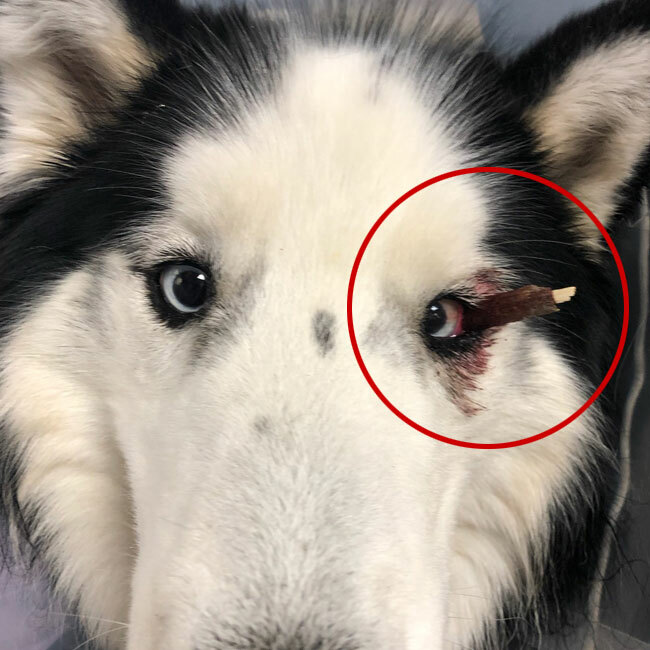 He went out in the yard to use the bathroom and when he came back inside, his owners were shocked to see a stick lodged in his left eye! 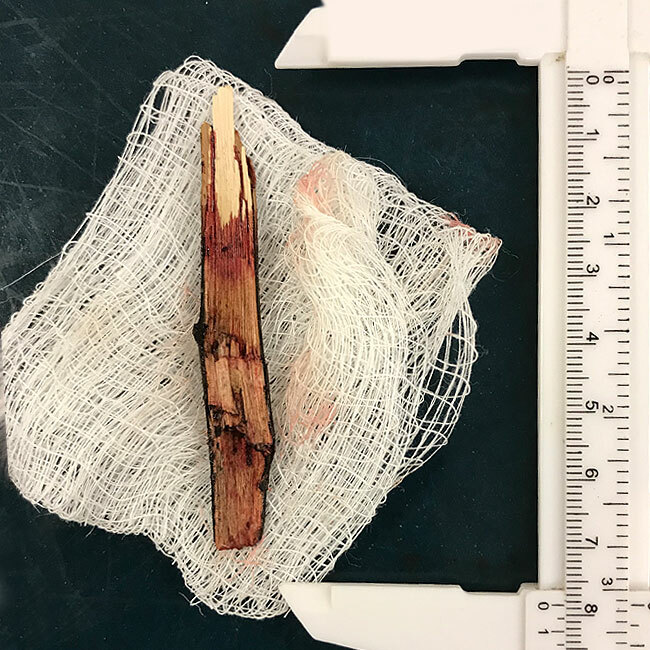 Our emergency doctors were able to remove the stick successfully while Astro was under anesthesia and found that the stick had caused an ulcer on his eye. He didn’t need any stiches, but he will be on medication for the next few days to prevent any further injury or infection. Astro was back to being himself and unsurprisingly was very relieved once the stick was removed. No foul play is suspected, other than that of a dog who played a little too hard outside.